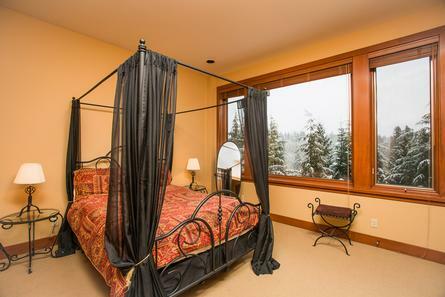 This gorgeous custom built home showcases phenomenal views of Whistler and Blackcomb Mountains. 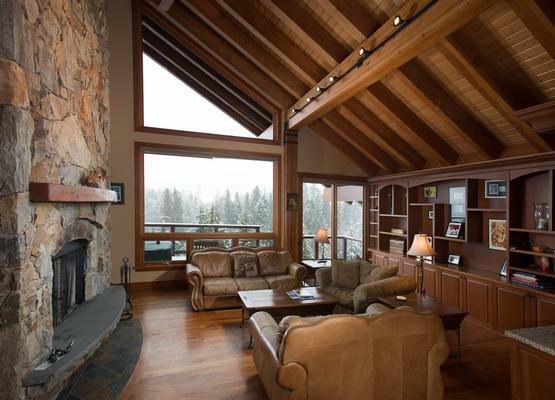 The home features post and beam timbers with vaulted ceilings accented by stonework and a floor to ceiling wood burning fireplace. 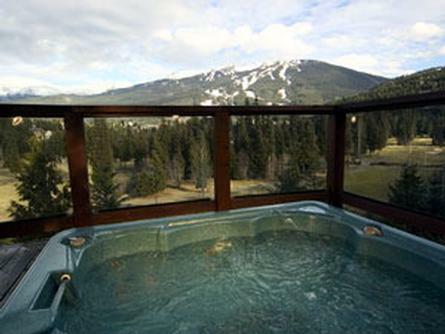 Located only 1.5 km from Whistler Village guests enjoy the great access to Whistler Village and Whistlersâ€™ Original Creekside. 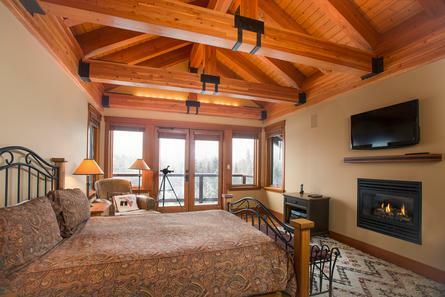 The large windows frame panoramic views. 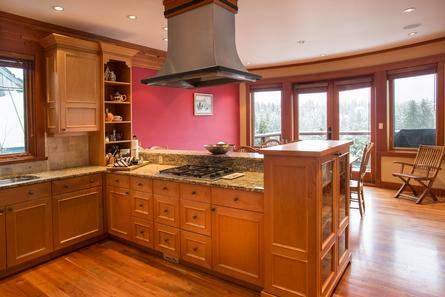 A fully equipped gourmet kitchen is a chefs dream. 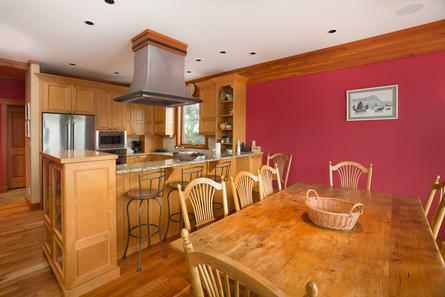 The granite countertops and spacious dining area is perfect for entertaining. The dining area takes advantage of the golf course and mountain views. 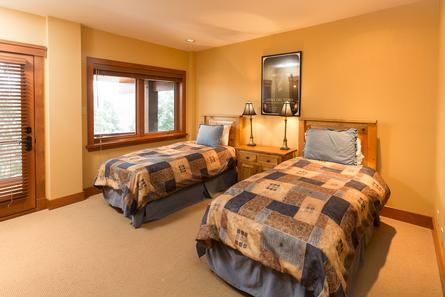 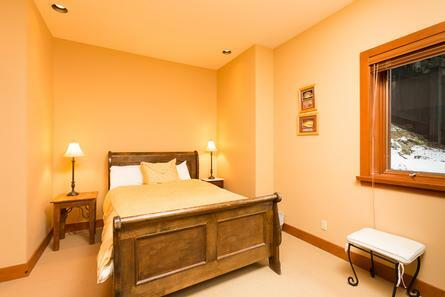 With four spacious bedrooms and a den this home can sleep 10 people comfortably. 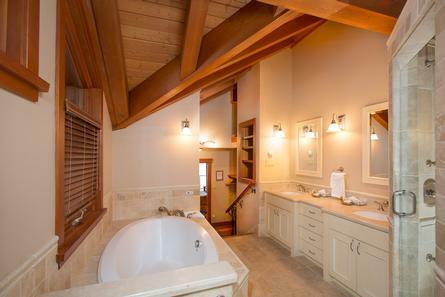 This home has a cedar-sided sauna and private outdoor hot tub.